Enjoy this terrific three-bedroom, two-bath home in sought after Vintage Creek. Located on a corner lot, this lovely home boasts an upgraded kitchen with granite countertops, upgraded cabinets, new appliances and more. BRAND NEW A/C SYSTEM. The spacious living room, dining room and family room open to the kitchen and breakfast nook with lovely views. The bedrooms are split offering privacy when company comes. The master suite features high ceilings, sliders leading to screened-in lanai, dual closets, garden tub, double vanities with granite countertops and new fixtures. 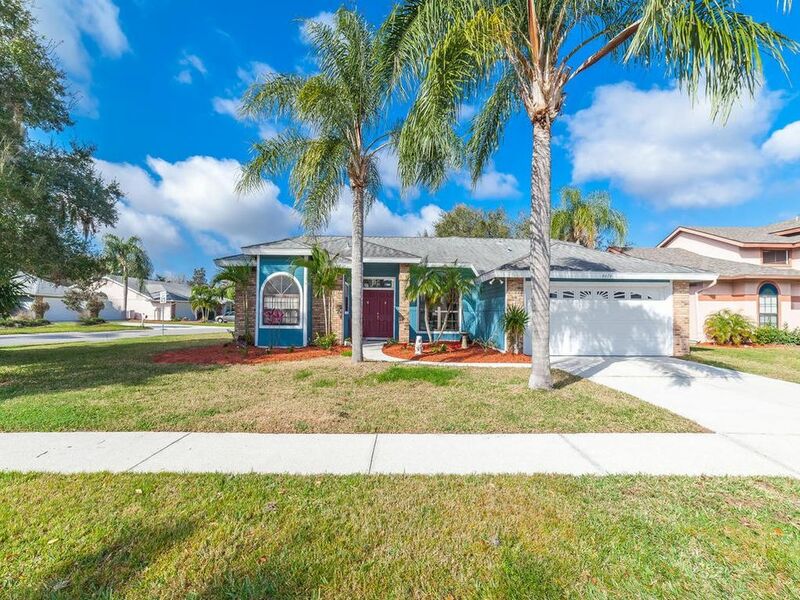 The oversized screened-in wraparound lanai leads to a lovely, private, newly fenced-in backyard that has plenty of room for a pool, to relax and to enjoy your outdoor gatherings and cookouts. A special gate leads to the community screened-in pool just moments away. If you love privacy and outdoors, this home is for you! Great location with close proximity to downtown, the airport, shopping at the new University Town Center Mall and the new Nathan Benderson community park and rowing regatta center. Come and enjoy the Florida lifestyle you've been dreaming of and make your offer now! Click on the virtual tour for more photos. Driving Directions: North of University Pkwy. on Lockwood Ridge Road. Turn right into Vintage Creek, first right to Monticello Lane.